Rebecca Price, founder and President/CEO of Chick History, was featured this week in The Tennessean. She discussed her passion for women’s history and the history of Chick History with Kimberly Novosel in her “Bring Your Brave” column for 12th & Broad. You can also read the article online. Rebecca Price is a historian and museum professional with more than 15 years of experience in nonprofit programming, administration and communications/marketing. She believes women’s history is always overlooked, often watered-down, and sometimes all-together edited out. In 2015, she founded Chick History, Inc., a nonprofit dedicated to rebuilding history one story at a time by focusing on women’s history, original programming and community outreach. Born in Memphis and now a Nashvillian, Rebecca has worked for the National Museum of Women in the Arts, the Institute of Museums and Library Services, and the American Association for State and Local History (AASLH). She currently serves on the board of the Tennessee Association of Museums; as founding co-chair of the Women’s History Affinity Group at AASLH; and is a member of the Women’s Heritage Trails Committee for the National Collaborative for Women’s Historic Sites. Rebecca and I chat over French press coffee about wise women, turning a side hustle into a main gig, and the power of making deliberate choices. Part of the fun of this series is making fun of myself for my addiction to caffeine, and today I’m drinking from my French press. What are you sipping on? This morning I am enjoying my second cup of coffee made from Illy Dark Roast, also from my French press. I am definitely the coffee drinker in my home, and I have my morning routine with my coffee that I simply won’t compromise. Even when traveling, the morning cup of coffee is always on the itinerary. Refuse to leave the house before my (at least one) cup of coffee. You have quite an impressive background in history. Where did your inspiration for Chick History come from, and what is your mission? Thank you. I have always been interested in women’s history and women’s studies. A lot of it comes from when I was just starting out in the museum field, researching, doing exhibitions and programming, and having a difficult time finding “myself” in the stories. Where were the people with whom I could identify, and in authentic ways? I’ve been fortunate that almost all the places I’ve worked have had very strong women’s history, so I have learned from the best. At the heart of Chick History is the belief that every great story has not been told, and more importantly, what we’ve been told isn’t the whole picture. Women’s history is all around us, we just have to dig it out and put it back in place, one story at a time. That’s the goal and focus of Chick History as a nonprofit; and we accomplish that through original programming, educational projects and community outreach. We want to create a holistic version of history that includes women’s history in our shared collective narrative. What was the process like moving it from an idea to an organization? Chick History became my side hustle in 2010. It started as a blog and a place for me to work out some of my own theories and ideas on women’s history and museum practices. Over the years, it grew and I began doing larger projects, and in 2015, I decided that was the year to incorporate it as a nonprofit and dedicate myself to it full time. I had some big projects and things I wanted to accomplish, for my career and for the field, and I knew the only way to do it was to step out on my own. That’s when I realized that I needed to move forward and take a leap of faith that everything would work out. I still have that fortune, and carry it with me in my wallet over my driver’s license as a constant reminder to move forward, don’t second guess yourself, and doing something is always better than doing nothing. There’s a big difference between a good idea and good idea executed well. What element or action did you take in the early days that you think helped you successfully execute your idea? I agree. I read once that the difference between an artist and a successful artist is that a successful artist makes choices. Every day they make deliberate choices on what they can create, how they want to produce it, what to spend their time on, when to say no, and how to follow through on all their decisions. I applied the same idea when I started Chick History. First, I spent a lot of time talking out my ideas and visions with people I trust. I call them my “wise women.” Talking things out with others was incredibly important. The second thing was making choices, hard choices, on what I knew we could accomplish and what we couldn’t. And I still have to do this every day, which doesn’t get easier by the way. But as a start-up with limited staff and resources, I have to commit myself to choices and stick with them. I am so excited about March to the 19th and this is our biggest initiative to date! It’s a five-year grassroots campaign, in partnership with Humanities Tennessee, that is going to change the way we see and do women’s history in Tennessee. In 2020, the United States will celebrate the 100th anniversary of one of our nation’s defining events: the passage of the 19th Amendment to the U.S. Constitution, which enfranchised millions of American women with the right to vote. Yet, almost 100 hundred years later, women’s voices, experiences and stories remain underrepresented in America’s collective narrative. For me, this has a direct impact on women’s position in today’s society, and we have to work together to address this. With only five years before 2020, now is the time to make a change and make a difference. In a way that’s never been done before, March to the 19th will spend the next five years empowering communities across the state to celebrate all women’s history, and create a more equal society for all Tennesseans. As the phases of the campaign unfold, we’ll be working with museums, historic sites, the public and schools to create a unique experience to commemorate this important event in America’s history. What is one of the greatest challenges that you face as an entrepreneur? Time management. I have to be very diligent about my time and creating a routine so I can do all the things. Right now, I am everything and everyone, from finance to IT, to product development and strategic planning. Some days I am fundraising and some days I spend hours trouble-shooting why my email isn’t working or my computer can’t find my wireless printer. It took a couple of month to adjust, but I feel I am slowly getting into a routine that works for me, and it’s becoming easier and easier to jump between big-picture planning and day-to-day admin. What has surprised you the most about leading an organization? Definitely the most rewarding is the incredible support of Nashville. Everyone knows this town has a creative and entrepreneurial spirit, and every step of the way on this journey I have been embraced by this town and its people. I can honestly say that Chick History would not be this far, as a nonprofit, if I had started in any other town. In Nashville, everyone can make a difference and the city will support anybody who sets out on a path to do that. What advice would you give to hopeful entrepreneurs who are dreaming of or planning to step out on their own? I would definitely tell them to make choices early, trust your judgment, and be open to flexibility and be willing to adapt when things don’t work out and you need to take a new direction. Surround yourself with supportive people who will help you get things done, NOT people who only point out how hard it’s going to be to get things done. Remain authentic and true to your vision, and don’t fixate on all the “no’s” you will hear along the way. And then, after all your hard work and planning, trust yourself to move forward. At some point, you need to throw your shoe across the fence and then figure out how to go and get it. How can Nashvillians get involved with Chick History? Sign up for our News and Events. You’ll get all our updates on projects, as well as social activities and events. Our first event was a Wine Mixer and Private Screening of “Suffragette,” which was an amazing time. I’m already talking to several other “hot spots” in Nashville on more events like this. As I tell everyone, if you think history is boring, then you don’t know Chick History. 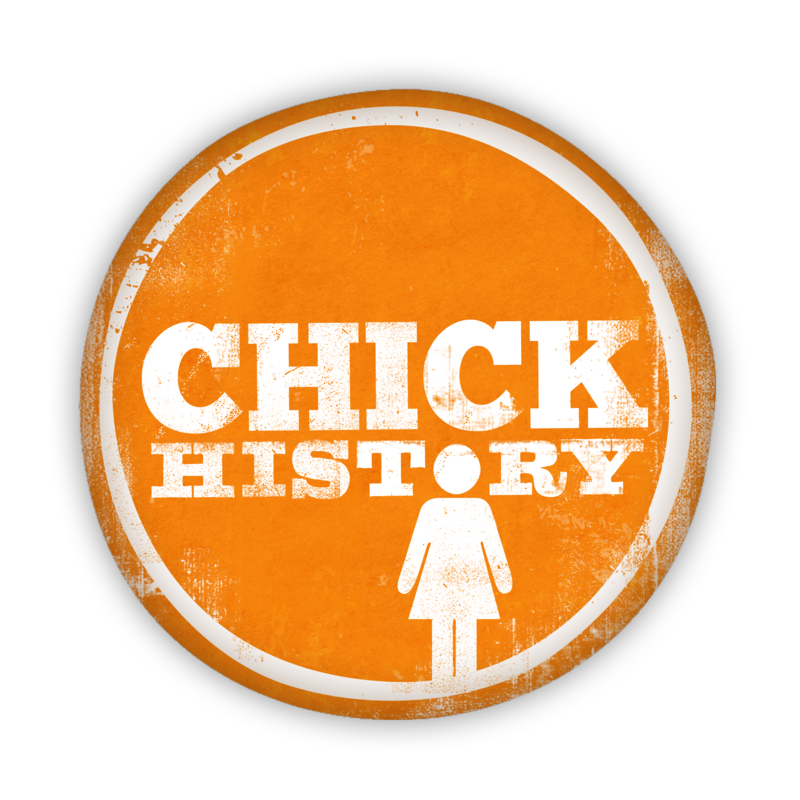 You can follow Rebecca on social media @chickhistory and visit the websitewww.ChickHistory.org. You’ve captured this petcrfely. Thanks for taking the time!